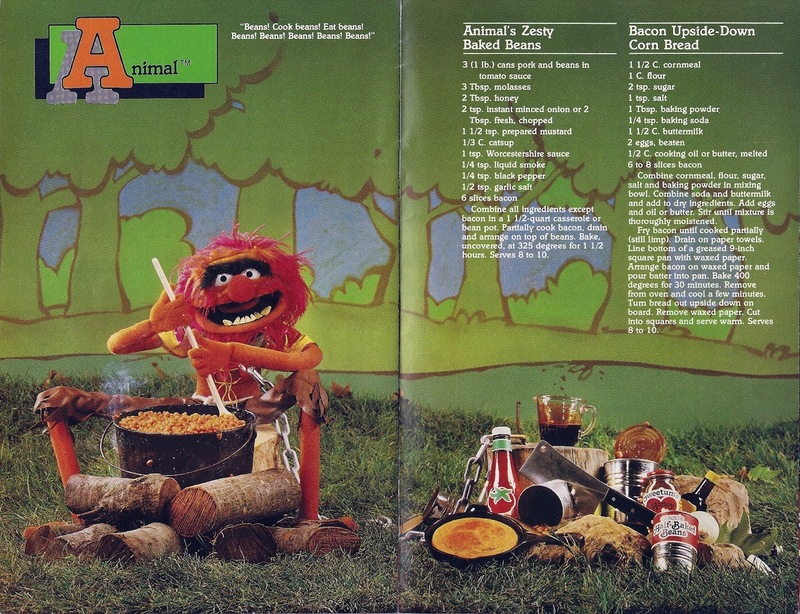 Today's scan "Animal’s Bacon upside-down corn bread"
Combine cornmeal, flour, sugar, salt, and baking powder in mixing bowl. combine soda and buttermilk and add to dry ingredients. add eggs and oil or butter. stir until mixture is thoroughly moistened.